Both have their pro’s and con’s, but something a lot of people don’t realize is that they don’t need to be mutually exclusive. The best solution is a mix of both. Sometimes you just don’t want to go to the gym. Or you can’t physically make it to the gym because traffic is bad, it’s new years, and it’s packed, or maybe you live in a cold climate. On the other hand training at home can be hard and it can cost a lot to buy fitness equipment. Perhaps you don’t have a dedicated space to train in, or in most people’s cases; you don’t have the equipment. 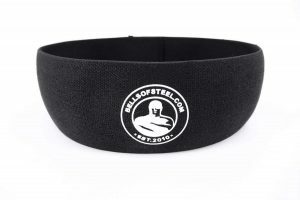 So here are my top 5 implements for starting training at home. 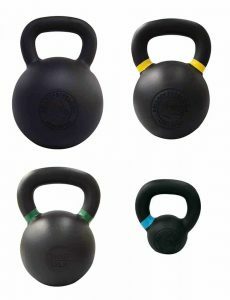 I write a lot about kettlebells, and full disclosure, I sell a lot of kettlebells too. Even when I worked as a commission salesmen at a fitness store, I would always try and guide people away from the $2,000 treadmills (despite the hit to my wallet) and towards the most versatile piece of fitness equipment in the industry. For under $100 you can get a tool that you can train your whole body with, strength and cardio, and it takes up minimal space. If you’re starting to build out your home gym, this should be your first piece. Power bands provide a vast arsenal of exercises, all for the amount of space a few pairs of socks takes. 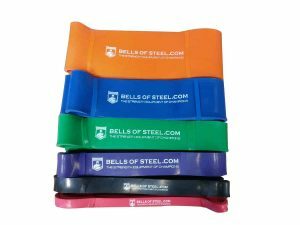 Stretching, additional resistance to body weight movements as well as lessening the resistance of bodyweight movements, these are the primary uses for power bands. My go to moves are the tricep press down and banded good mornings. Second only to the versatility of a kettlebell, the Cross Cord is a way under used impressive implement. 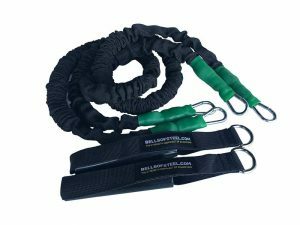 Light enough to fit in your gym bag, they can be set up from almost any anchor point and provide a constant variable strain engaging muscles you never knew you had. One of the most fun ways to train is to learn a new skill, and skipping is a great one. Not only do you look badass when you’re good at it, but the conditioning and coordination that you develop by doing it is hard to match. There’s a reason jumping rope is a staple in fighter’s regimens everywhere. The Glute Loop is used activate hips and glutes allowing you to lift heavier and gain stability. Combine with Squats to keep your knees in a safer externally rotated position. 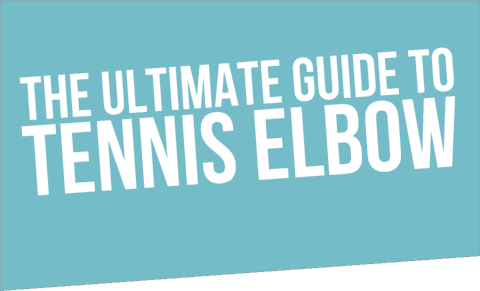 While it may seem like a subtle piece of equipment, it will make you stronger, faster and more stable. With any (or all) of those five pieces of fitness equipment, you will be able to get a tremendous workout and add variety to your daily routine.